Multiple sclerosis can be a wrecking ball of a disease, its potential effects threatening to impact virtually all aspects of life. 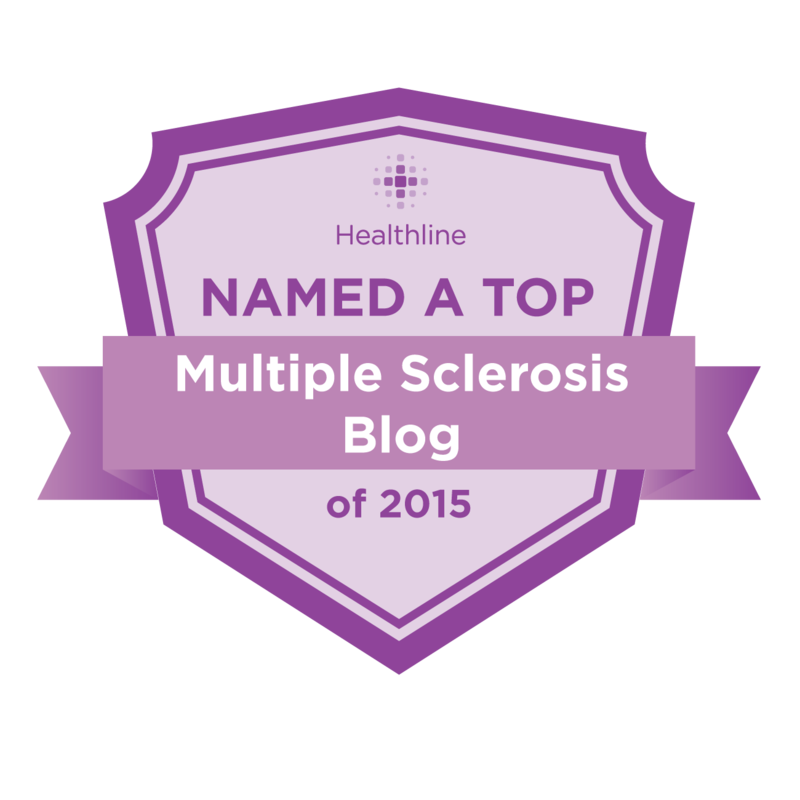 Though the newest MS therapies offer many patients the hope of extended periods of good health, MS sufferers nevertheless find themselves constantly adapting to the challenges thrown at them by the disease. In addition to obvious problems such as those related to mobility and coordination, other more invisible symptoms can be equally problematic. Cognitive difficulties and extreme fatigue can be just as crippling as weakened and numbed extremities. Relapsing remitting patients never know if and when the next attack is going to hit; progressive patients must learn to coexist with their illness as it carries them down a slope of ever-increasing disability. The stress and uncertainty of chronic illness adds exponentially to the already demanding nature of modern life. MS strikes most of its victims when they are relatively young, well before most would ever otherwise consider leaving the workforce and retiring. Unfortunately, MS forces this issue for significant numbers of those it afflicts. Despite the sunny image of MS often portrayed in the media, numerous surveys and studies have found that a high percentage of MSers find themselves forced into early retirement by the disease (click here, here, and here). Surprisingly, studies conducted in Europe discovered that as many as 50% of people with MS stopped working within five years of their diagnosis, well before many of them manifested obvious signs of physical disability. Instead, cognitive issues (such as memory issues and “brain fog”) and fatigue led many to early retirement. 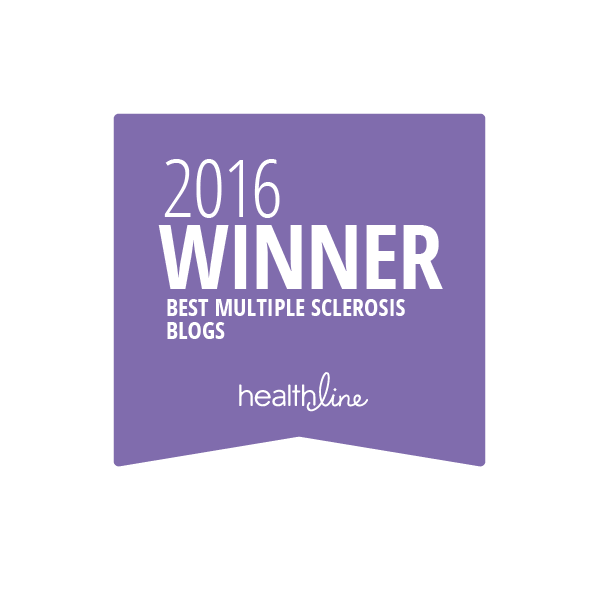 The findings of some of these studies may not be entirely accurate today as they include information on patients who became ill before the current crop of more effective therapies became available; nevertheless, MS related employment issues are a reality with which those afflicted with MS continue to grapple. 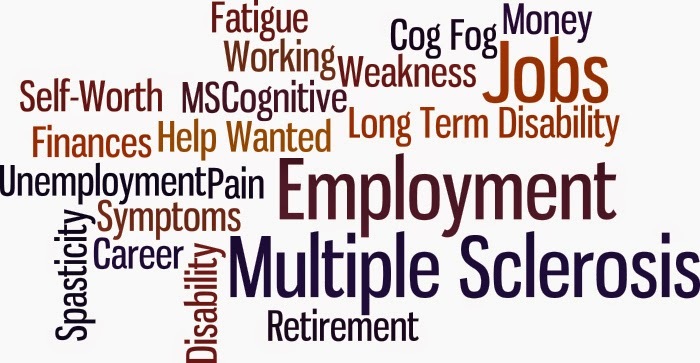 The prospect of lost jobs and reluctantly terminated careers can be one of the most frightening aspects of the disease for working MS patients. We live in societies that often conflate what we do for a living with who we are, and many find their sense of self intimately entwined with their work life. In addition to the obvious worries the potential financial impact of leaving the workplace can engender, the psychological toll of merely anticipating such an eventuality cannot be overstated. Patients often fear the loss of their jobs as much as the potential physical deterioration associated with the disease, and many hang onto their jobs for dear life, a sense of failure accompanying any ruminations of quitting the workforce. I suppose in a strange way I’m lucky that I never felt wed to my career. Despite the fact that I managed to be successful in a highly competitive industry (TV and video production), I always felt some dissonance between who I was and what I did, as if I had strayed from my path and could never quite find my way back. Truth be told I just never loved working, least of all in some of the highly corporate environments in which I found myself toiling during some points of my career. There are those who thrive within the structure of a buttoned-down business environment; I felt as if I was being slowly suffocated. I enjoyed the titles associated with my working life (Producer, Director of DVD Production) much more than I actually liked the nuts and bolts of the jobs themselves. Compared to many other patients, my disease struck hard and fast. My last day of work came less than four years after my official diagnosis. As my initial symptoms were all physical (increasing paralysis of my entire right side) and soon became abundantly obvious to all but the least observant, I made no attempt to hide my condition from my employers, who were gratefully quite sympathetic and supportive. They allowed me flexibility in my working hours and never gave me grief about time taken off for doctors’ visits or treatment sessions. My decision to go on disability was practically made for me, as the facility in which I was employed appeared threatened with closure and those in charge gave me fair warning that I could lose my generous disability benefits should the place shut down. Though I held on as long as I reasonably could, my creeping paralysis eventually made simply getting to work completely exhausting, never mind the physical toll of working a full day, and when the end came I felt more a sense of relief than anything else. I spent the first two weeks of my “retirement” in full recovery mode, my body and mind finally able to take a few deep breaths, and though I did go through a time of existential uncertainty, I adapted quite well to my enforced life of leisure. At times I absolutely reveled in my newfound freedom to do whatever I wanted when I wanted to do it, albeit within the confines imposed by my illness. The support of my ever indulgent wife was (and is) beyond value, as I used my newfound liberty to pursue interests and penchants that had long lain dormant or ignored. 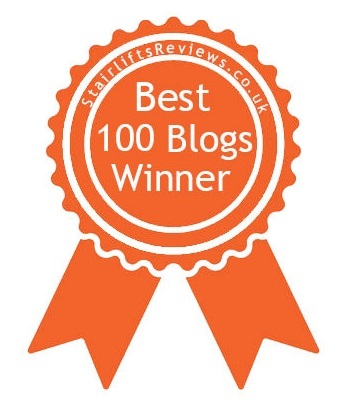 Though some of the time since I left work has been spent on activities the less enlightened might deem frivolous (like watching lots of zombie flicks), some of my other endeavors hopefully have had some socially redeeming value (like this blog). Even now, with the grip of my illness growing ever tighter, I’m quite happy to be gainfully unemployed. Can’t say I’m having as much fun as I did earlier in my retirement, but freedom is precious whatever the cost. I’m very much aware that my experiences leaving the workforce – from the days preceding my retirement to those after it – are hardly typical, but I’m living proof that the transition need not be filled with trauma and woe. Certainly, those with a deep affection for their work should be rightfully loath to give it up, and for many, even those with obvious disabilities, forced retirement can be held at bay for quite a while, perhaps even indefinitely. There are strategies and methods that can be used to prolong employment, particularly if employers and colleagues are made aware of the situation and cooperate in the effort. Many wrestle with whether or not to disclose their illness in the workplace, and this decision can be highly dependent on the nature of the work as well as the culture and environmentin which the patient is engaged. A recent study found that those who do disclose their multiple sclerosis are more likely to remain working longer than those who do not (click here). Almost all developed countries have laws prohibiting discriminating against disabled employees, and require that employers make reasonable accommodations for those with disabilities. Once disclosure has been made, the psychological burden of keeping an illness secret is lifted, and that alone can ease the grind of getting through the day. Working hours can be made flexible, responsibilities can be shifted, and telecommuting can be a viable option for many. One of my good MS friends is a lady who relies on a power wheelchair to get around but nevertheless remains successful at her media sales position through a combination of fierce tenacity and the accommodations she’s worked out with her employer. A terrific resource for learning about employment accommodations for the disabled is the Job Accommodations Network website (click here). Regrettably, not all working MSers are able to remain employed indefinitely. The decision to finally leave work can be one of the hardest faced by a patient. Financial considerations are of course a huge part of the equation. Here in the States, having private disability insurance certainly makes the decision to leave work much easier, especially since Medicare and Social Security don't kick in until two years after long-term disability status has been established, and for many these programs only cover a small fraction of what they were previously earning. MSers in the United States should, without question, max out on any private disability insurance offered by their employers. Other countries with stronger safety nets at least partially alleviate this consideration. Financial considerations aside, ultimately the decision to leave work because of MS disability often comes down to not only whether or not a person is still mentally and physically capable of completing their job requirements, but also soberly assessing whether the daily grind of working is taking a deleterious toll on the patient and negatively affecting their physical well-being. It’s incredible what people can endure, and the insidiously incremental nature of MS disability can often mask the multiplying effect the toil of struggling to stay employed can have on a body battling the illness. 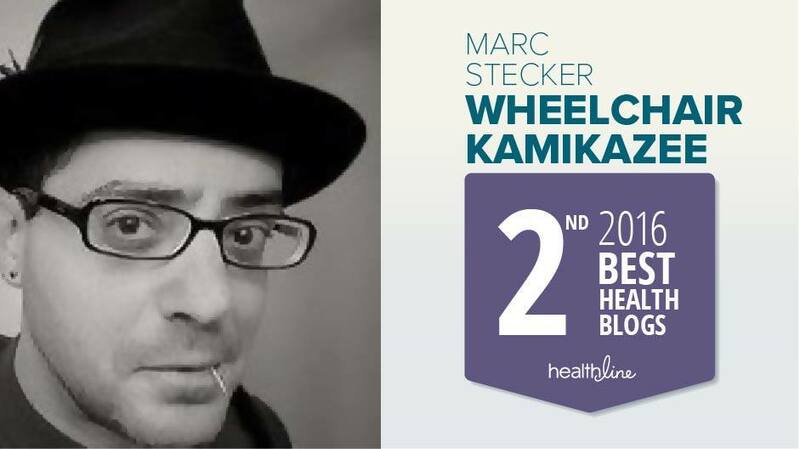 Despite my obvious physical problems, I didn’t become completely aware of just how negatively working was affecting my health until after I had taken my leave. Only then did I become fully conscious of how physically and mentally exhausting my continuing to work had become. Most of the first few weeks of my retirement were spent sleeping, my body gratefully soaking up the rest it so desperately required. After that much needed period of decompression, I started the slow but ultimately gratifying process of redefining myself, in a sense becoming reacquainted with parts of me that hadn’t seen the full light of day since my youth. Happily, the end of employment is by no means the end of life itself, and indeed reclaiming time that would have otherwise been spent working affords one the opportunity to chart a new course, perhaps one even more suited to the individual than the one so grudgingly given up. It’s often said that every exit is an entrance, a truth I found embodied by my transition out of the workforce. I always said I didn’t live to work but worked to live, and now I can simply live. It’s time once again for Wheelchair Kamikaze’s semi regular compendium of MS news and notes. Last week the American Academy of Neurology (AAN) held its annual meeting, this year held in Philadelphia. This weeklong event brings together some of the world’s best minds in neurology, and features presentations on all the latest and greatest research. I found it quite striking that this year’s multiple sclerosis presentations almost all had to do with information gleaned from drug trials, but since practically all mid to late stage medical research is conducted by the big pharmaceutical companies, I guess I shouldn’t be surprised. Most of the fault lies not with the drug companies themselves, but with the system within which they operate, which has handed these companies the reins of medical scientific investigation as governments and academia are increasingly less able to fund research due to the current political and economic climate. As a result, our medical research model is becoming more and more dysfunctional, with many potentially paradigm shifting basic research studies never making it out of the lab. Yippee! ♦ First up, a sampling of the MS drug news that came out of the AAN meetings. Tysabri was shown to positively impact walking speed in some patients (click here). While at first glance this sounds impressive and could be an indicator that the drug has a positive impact on disease progression, digging down a little deeper leaves me less than knocked out. Slightly over 12% of patients on Tysabri demonstrated improved walking speeds over the course of two years of treatment, which really isn’t bad, but about 7% of patients treated with a placebo also managed a significant improvement in walking speed, which just goes to show you how variable is the nature of relapsing remitting MS. Tysabri did prove to be about 80% better than placebo in this regard, and since most patients would gladly settle for a state of stasis in their disease, any signs of improvement are a big plus. Researchers did find that this effect was more pronounced in patients with more advanced disability, with walking speed increased by as much as five times when compared to placebo in this patient group, which does make the research more compelling. A small phase 2 trial of Tysabri on SPMS patients came up with encouraging outcomes (click here). In this study, 24 SPMS patients were treated with Tysabri for 60 months, and levels of osteopontin, a marker for inflammation, were tracked in their cerebrospinal fluid. Several other biomarkers were also tracked, and after 60 weeks of treatment statistically significant decreases in markers for inflammation, axonal damage, and demyelination were recorded. These are impressive findings, especially since there are currently no proven treatments for secondary progressive disease. Of course, these results will have to be replicated in larger trials, but this seems to be an encouraging start. There has been much conjecture as to Tecfidera’s primary method of action (in other words, why it works), and a study out of Germany demonstrates that the drug keeps certain immune system cells out of the central nervous system (click here). It’s already been established that Tecfidera has immunosuppressive properties, and it is suspected that the compound also has anti-inflammatory and antioxidant properties as well. Based on the latter suspected properties, some have speculated that the efficacy of Tecfidera could be replicated using a combination of dietary supplements, but since immunosuppression seems to be the drug’s primary method of attack such an approach likely wouldn’t duplicate the effectiveness of the drug. ♦ The human gut is home to a wide variety of bacteria, which are known to help with the process of digestion. Doctors have noted for some time that there seems to be some correlation between the gut and so-called autoimmune diseases, and a recent study bears this out (click here-registration may be required, but it’s free and well worth it). Researchers compared the microorganisms contained in the guts of MS patients with those found in healthy subjects, and discovered that MS patients have higher levels of a bacteria that is known to stimulate the immune system, and lower levels of two other types of microorganisms that excrete anti-inflammatory substances. Fascinating findings, I think, which definitely hint at reasons for an immune system gone haywire. Just goes to show how many different elements come into play in the complicated MS disease puzzle, and how many different approaches might be taken to treat the illness. ♦ Here in the US, more and more states are legalizing medical marijuana and a few are even making it legal to use the stuff for recreational purposes. Ganja has been touted as an effective treatment for MS spasticity and muscle spasms, and a recent review done by the American Academy of Neurology gives such notions the official stamp of approval (click here). The AAN found that the demon weed does indeed reduce spasticity and muscle spasms, and the pain associated with these symptoms. I’ve recently been plagued by an uptick in spasticity and muscle spasms, and the spasms in particular have been driving me crazy. 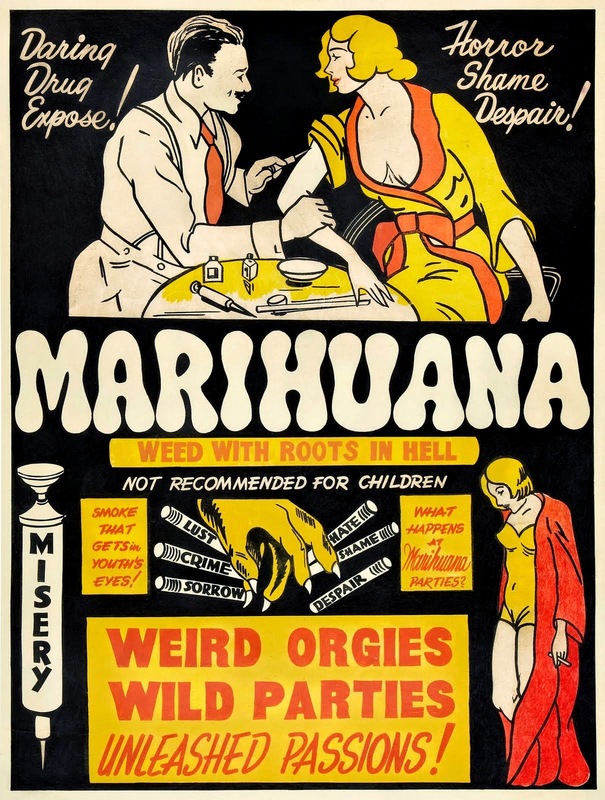 So, though Mary Jane is still illegal in New York State even for medicinal purposes, based on the above study I decided to imbibe in a little reefer madness. Lo and behold, my spasms took a powder and my spasticity loosened its grip. BTW, despite what the video says, the song is by the band Fraternity of Man, not Country Joe and the Fish. My guess is the person who made the video was probably all goofed up on muggles when they put it together. 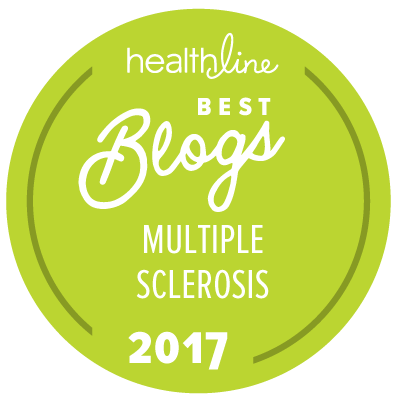 ♦ The good folks at Healthline.com have put together a page full of infographics illustrating “Multiple Sclerosis by the Numbers: Facts, Statistics, and You” (click here). 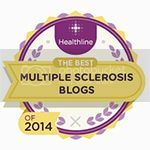 The page delves into statistics and information related to MS disease prevalence, risk factors, and the frequency of the different types of MS, along with symptoms and treatment options. 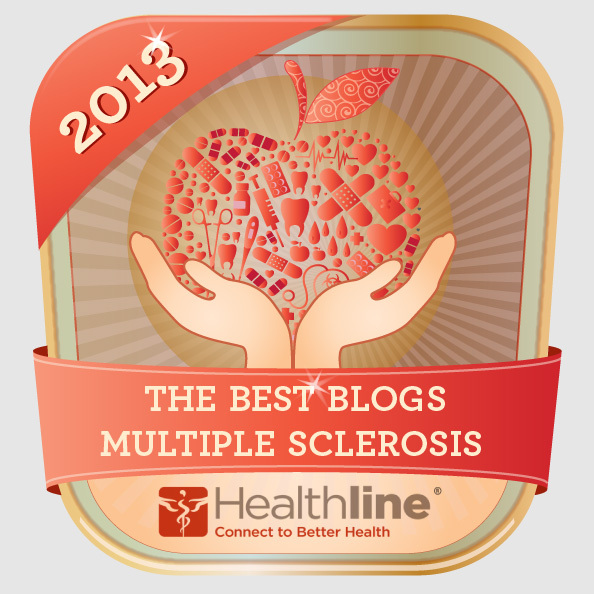 It’s a great primer for all things MS, and highlights some interesting and beguiling facts about the disease. 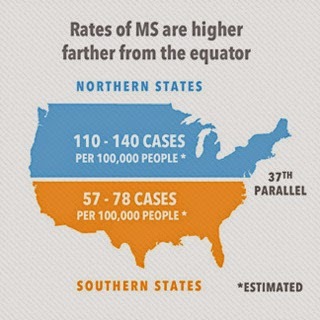 I think my favorite illustration is this one, which starkly demonstrates just how more prevalent MS is in northern regions than southern, using a map of the United States as an example. ♦ Okay, it’s time once again for one of my favorite topics (drumroll please), ASININE RESEARCH! Scientists from the University of Kansas heroically decided to tackle the following mindbending question: “Is there an increased risk of hip fracture in multiple sclerosis?” (click here). My God, of all of the mysteries associated with MS, finally – finally – paid researchers have valiantly taken on a question that folks with even the scantest knowledge of the disease could answer in about two seconds. Wait – before I divulge their findings, please take a fraction of a second and see if you can guess the answer to this most vexing of inquiries. Okay, after spending a few microseconds contemplating whether or not multiple sclerosis – a disease that can weaken limbs and thus make walking a bit, um, treacherous – might lead to an increased risk of hip fractures, did you come up with the startlingly radical answer of “yes”? If so, kudos to you, you are now an official multiple sclerosis researcher. You can pick up your certificate at the nearest sandwich shop. Indeed, after reviewing over one million (!) hospital records of hip fracture admissions spanning a period of 20 years, our stalwart investigators found that MS patients were over twice as likely to suffer hip fractures than the population at large!!! Shocking, no? I mean, who could have possibly surmised that a disease whose symptoms include muscle weakness, spasticity, paralysis, numbness, and balance issues could ever lead those afflicted with it to fall down and break their hips? I only wish the researchers had been able to quantify just how more likely MS patients were to suffer scraped knees and bruised elbows. Inquiring minds want to know!